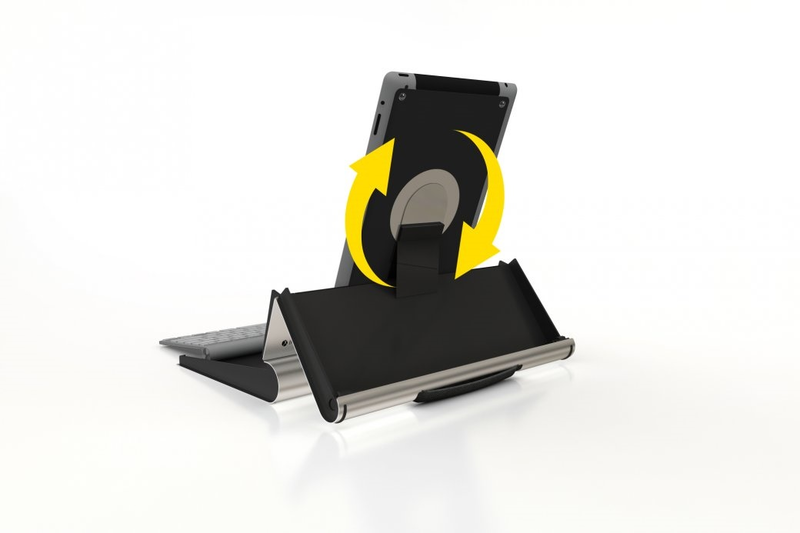 The innovative Tablet Riser is a tablet case that easily flips open to become an ergonomic workplace. The Tablet Riser makes it possible to adjust your tablet to any conceivable position. This means that you can make better use of your tablet for a longer time without any back, neck or shoulder complaints. 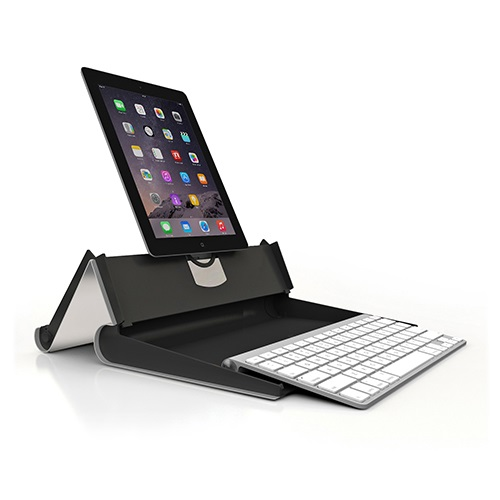 In addition, the Tablet Riser gives you room to take your favorite compact keyboard with you. The Tablet Riser does not interfere with the position of your keyboard, so you can use your tablet longer and more productively.